You will still need someone to talk everything over with. You will need a support partner, if you are planning a wedding you will need someone in your family to help and support your ideas. Going back to school will become a family project, you will need support, and it may be smart to do a bit of research before starting this conversation. I’ve had my husband and children over the years. 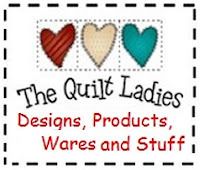 My daughter-n-law Rita, is my book designer of the Quilt Ladies covers. We have a business relationship and she is always paid for her services. I feel very firmly when you work in a professional way with family leave nothing to chance, put everything in writing. We do it as an independent contractor and it has worked great. Just as I’ve done in the Quilt Ladies stories, my mastermind group, comes together in friendship and we leave with closed mouths. I wrote that book long before having this group and I still feel the same way. You will need something like this, someone, someplace where you can say anything, throw out an idea and they will run with it, take the idea apart and help you put it back together. After leaving my mastermind group I leave with a list that looks something like this: These are self assigned project, I knew these needed done before the meeting, I’m making myself accountable, to them and to do them. And, when you get an email from 5 different people asking if you did something, you are going to do it. Goals make me move forward, I do mine on a calendar. Market, market, market. Where, when and to who? E-mail other members this next week to check on their progress on their needs. Set up time for next meeting, usually two weeks, and we are very good this will only be cancelled if…(Since 2007 this meeting as never been cancelled) We need each other and lunch is always better out with a friend. After leaving my mastermind group, I had a list of things to do and a time line to do them in. These are self-assigned projects, I knew these needed done before the meeting, but when I make myself accountable, to them and myself. And, when you get an email from 5 different people asking if you did them, you are going to do it. I learned goals make me move forward. From the group I found a dream friend, who I meet with every week (lunch) and we are accountable to each other and I know she will listen, suggest and not judge. We also talked, kids, husbands and laugh a lot. Find a group or someone special who is on your side to listen and share ideas with.